Can you explode a Watermelon? 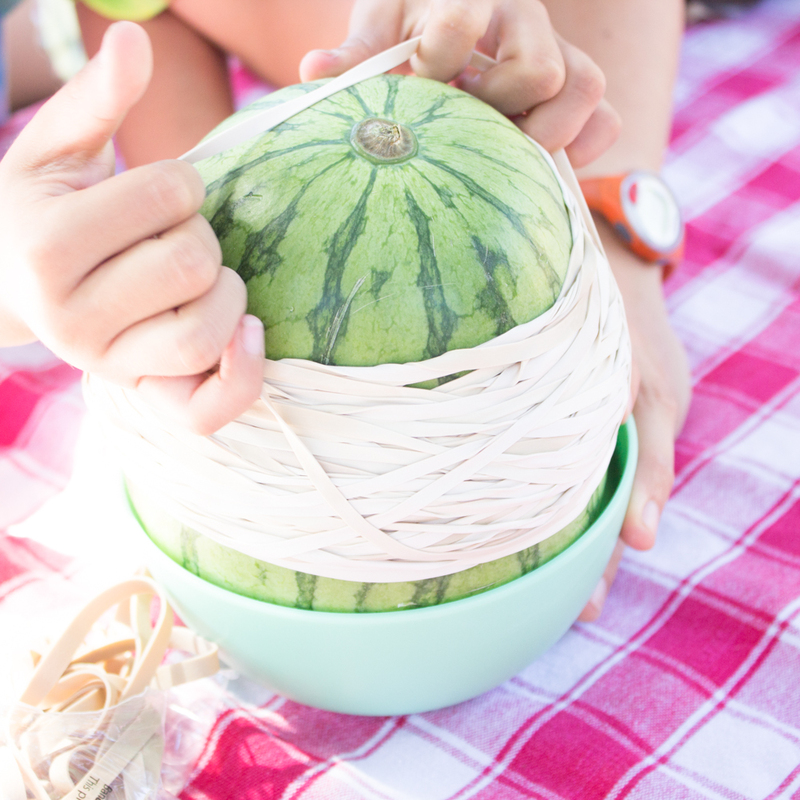 How many rubber bands does it take to explode a watermelon? That's a question that I issue to you, dear reader. And it's one that we recently tried tackling in today's fun science activity! Now, I'm not a mom who enjoys making a mess... but when I saw people exploding watermelons with rubber bands, I just couldn't help myself. We had to try the challenge too! So, we celebrated the end of summer with this explosive science activity. It was super duper fun and so, so easy to set up. Here's how you Explode a Watermelon with kids! We love space themed crafts! Do you? Today's Creative Preschool Collaborators theme is space. 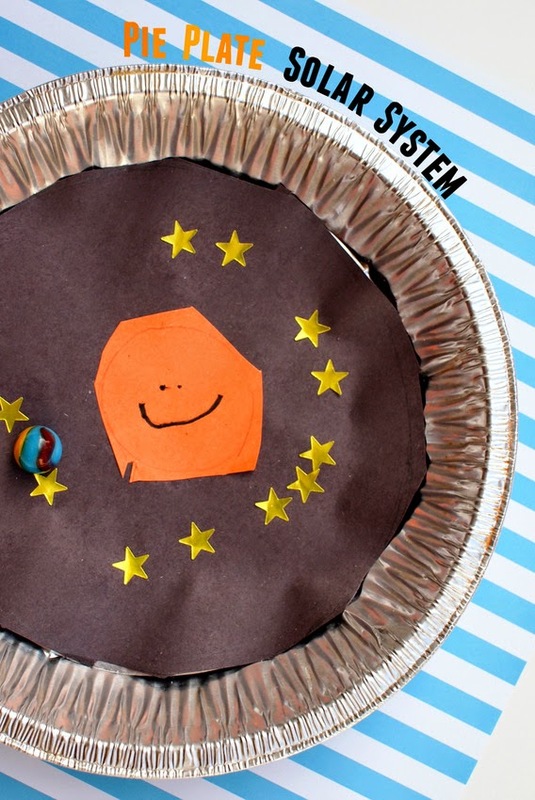 This means that 4 other bloggers and I will share 5 super fun solar system crafts! So be sure to scroll down to the bottom of this post to see everyone's ideas! We've been studying how the earth revolves around the sun. So we made this pie plate solar system game! As a child I really loved Alexander Calder's sculptures. Whimsical and colorful, they let me see that art can be fun too! 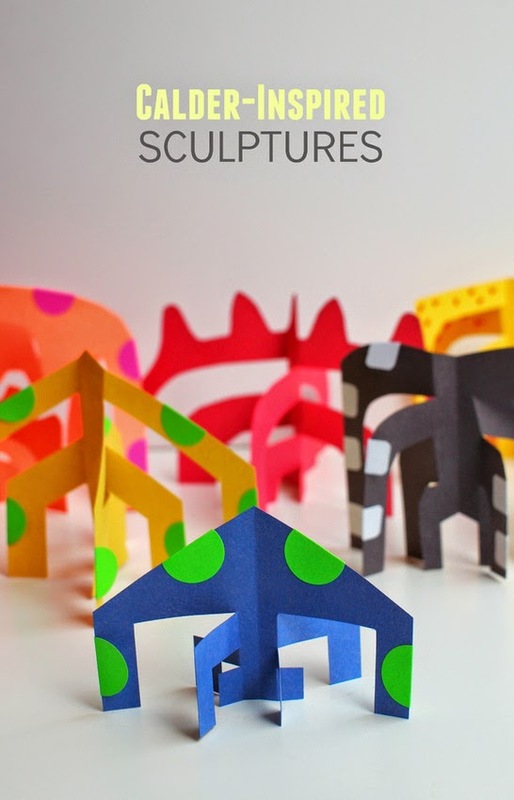 Today I'm sharing a really simple paper sculpture project inspired by Calder's large scale metal ones. 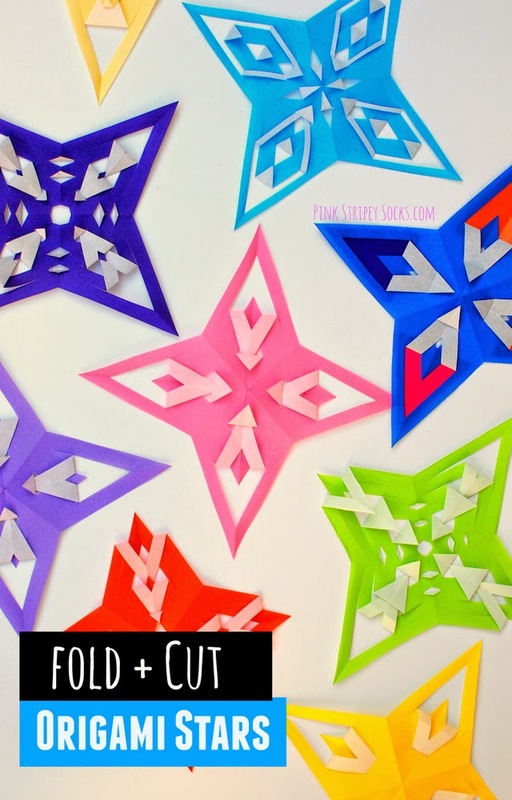 They take only minutes to whip up and certainly would also make for fun scissor practice with younger kids as well! Spring is here! La la la! 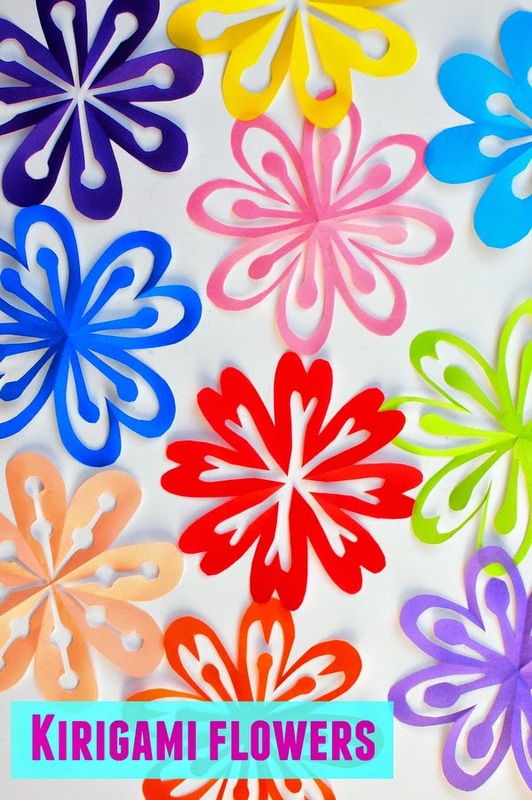 Although our current grey skies don't exactly scream "warm, sunny, bursting-with-new-life weather," today's kirigami flower craft certainly does! Now, I had a lot of trouble naming this craft. These flowers kinda felt like origami... and yet they weren't quite origami because I used scissors to make the designs too. Luckily Mr. Google taught me the term kirigami. 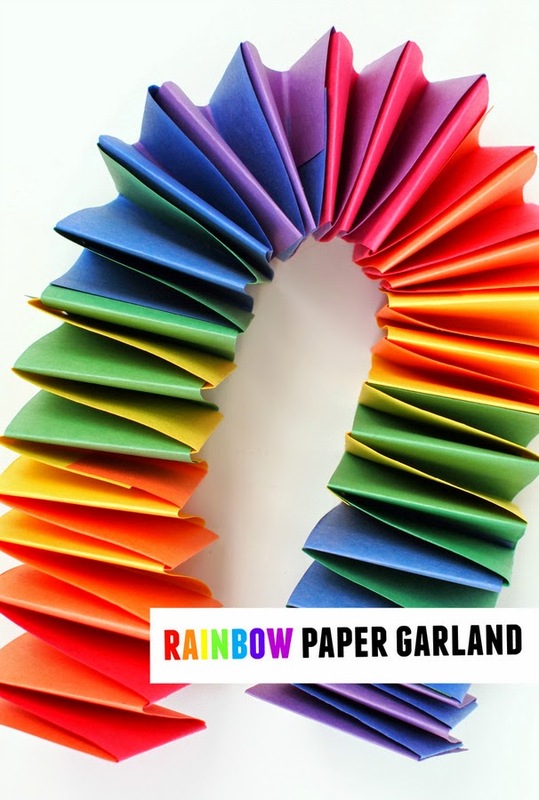 It's a Japanese term that basically describes origami that also involves paper cutting too. Bingo! So cool right? Hello friends! Today I wanted to share this really neat fluttering butterfly craft that I recently did with Chuck. 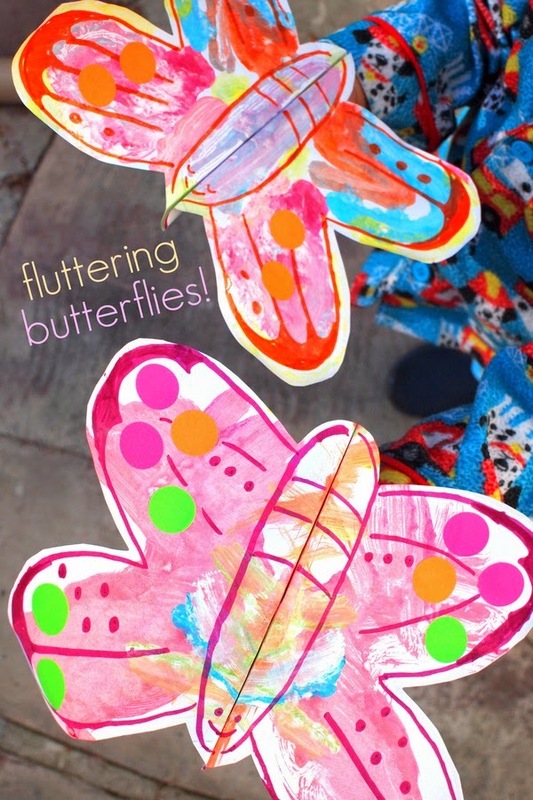 We cut out, painted, and folded butterflies that flutter when you move them! (We also made some lovely butterfly notebooks too!) The whole process entertained Chuck for quite awhile, so I thought other kids might like it too! I know it's winter, and most people are doing winter crafts with their kids, but honestly, I just haven't had the heart to do so. Our weather is right now in the 60s which is totally bizarre to me. I'm used to cold, wet, or snowy winters.... not cool, sunny ones. It's very weird ... but I'm thankful for the sun and warmth! This butterfly craft was inspired by our local butterfly grove. Nearby our home is a plot of land where monarch butterflies migrate to during the winter. How neat is that? Last week we hiked up to the butterfly grove and saw thousands of butterflies, clumped together in tree branches. It was a pretty amazing sight. (And I WISH I could have taken photos of them, but they were just too high up to get a decent shot.) One of the other children at the park found a dead butterfly on the ground and showed everyone. Chuck really wanted to find one of his own, but we never did. 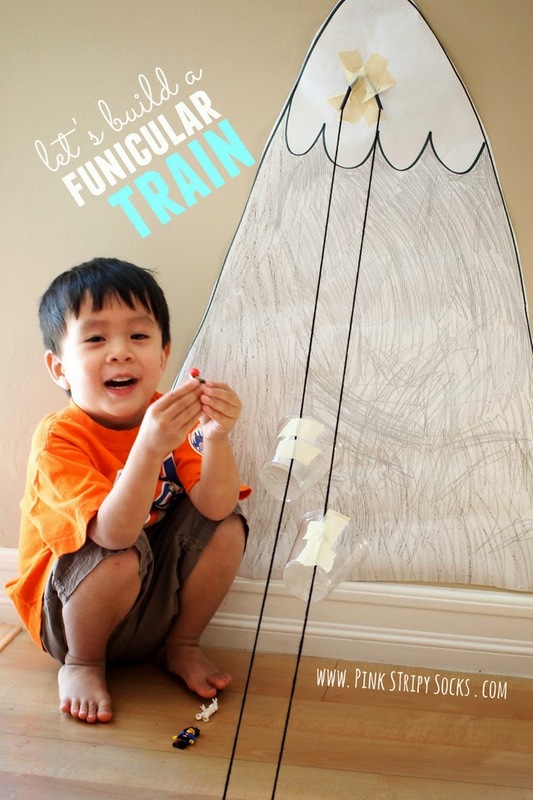 So I came up with this craft so that he could have his very own fluttering butterfly. Looking for kids' butterfly books? This would definitely be a great craft to go along with any of these great butterfly books! You're probably confused by the title... and I apologize. Today's post is quite special to me and I just wanted to make sure everything important was included. Now if you've peeked over at my About Me page, you'll see that my Christian faith means quite a bit to me. It shapes how I view the world, pulled me out of a tough spot when I quit my PhD program, and even influences how I view creativity and crafting. My friend Amy Sullivan (who you might remember was the mastermind behind the #riskrejection challenge that encouraged me to publicly "come out my crafting closet") recently wrote a book When More is Not Enough - How to Stop Giving Your Kids What They Want and Give Them What They Need . I received a copy of this book to review... and I was pretty nervous. A whole book focused on being generous and serving others like Jesus? Ehhh... I worried that I'd finish the book feeling super guilty because my family and I weren't doing enough. After reading the very first page, I saw how wrong my fears were. Amy is honest, funny, and humble. She shares her own family's struggles with generosity, and how God slowly changed their views of service. She also offers some really great ways the whole family (including the kids!) can serve and love their communities and the world. After reading her book I felt really encouraged to rethink my views on service and generosity too. I didn't need to be a missionary or the president of a non-profit to make an impact and help out my community. I could do small things with love. 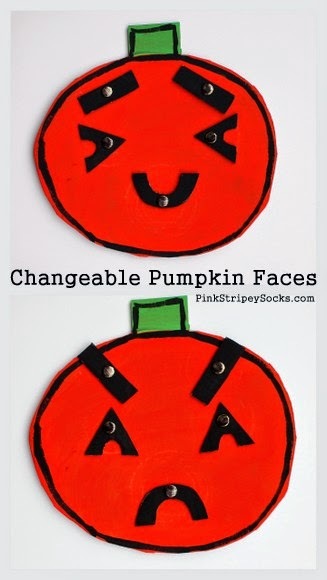 And now here's where the pumpkin face comes in. 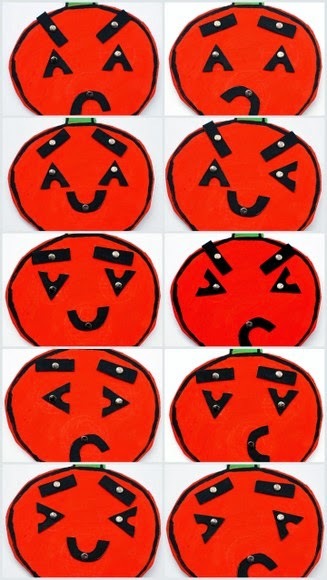 I initially made Chuck this changeable cardboard pumpkin face (inspired by Halloween and this face from Mr. Printables) as a way to help him learn about his emotions. See how the facial features change? As we played with the toy, Chuck began relating to the pumpkin as his friend. It kind of took on a life of its own. We talked about how Mr. Pumpkin looked sad, happy, surprised, or scared. We then also starting having conversations about how we could help friends that might be scared or upset. And that's when a light bulb went on in my head. These small, everyday conversations were also equipping Chuck to have compassion for others... and do small things with love. Chuck's only 3, but he too can have compassion and serve others too. Whoa. That was definitely a "wow" moment for me. So if you have a chance, I definitely recommend you reading Amy's book When More is Not Enough. You can read her thoughts on writing a book, or find her on her blog, Twitter, Facebook, Instagram or Pinterest. Yes. This baby plays. Yes. I have a video of it playing a record down below. And yes, I will share the inspiration behind this fun project! Lately Chuck and I have been infatuated with things that fly. That's why we made our cardboard space shuttle a couple of days ago. So today I took things one step further to create a handmade toy that actually did fly. Modeled after a plastic toy that hubby brought back from one of his trips, here's our version of a DIY Flying Whirly Copter Toy. Want a ride to the moon on your very own cardboard roll space shuttle? Then keep reading to see how we made them (template included)! This weekend we visited the Maker Faire held at the New York Hall of Science. It's a yearly two-day festival where tons of "makers" (crafters, hobbyists, tech lovers, engineers, etc..) showcase what they've made. The faire is advertised as the "greatest show and tell on earth." Oh boy, it definitely lived up to that title. We visited the faire for about four hours... and only saw about about half of the exhibits. Crazy, right? Not going to lie...it was difficult maneuvering through all the exhibits with a super active two year old... but I really am thankful that we were able to attend. It was truly awesome to see so many people passionate about making things with their hands. I left feeling quite inspired (and exhausted...oof). This bus brings green space to urban dwellers. P9218754.AVI from Pink Stripey Socks on Vimeo. Currently Chuck and I have been reading books about the moon and space travel. He loves the Berenstein Bears "On the Moon" book and Eric Carle's "Papa, please get the moon for me." So with that in mind, I made him a little cardboard spaceship climbing toy. I found some lovely examples online and one of the mommies in our toddler group made a very simple version out of paper. So, I based my design off of these. To operate the toy, you simply attach the moon to the wall or a doorknob. Then, you pull the two brown tabs apart and your spaceship shoots straight to the moon. This was a really quick and simple toy to make. 1. Cut out your spaceship, moon, and two small rectangular stopper pieces out of cardboard. 2. Paint your spaceship and moon. 3. Once the paint dries, protect your paint job with Mod Podge. 4. Cut your straw in half. Tape it to the back of your spaceship. 5. Fold your long piece of string in half. Tape the middle of the string to the back of your moon. Then, string your two strands through the two straws. 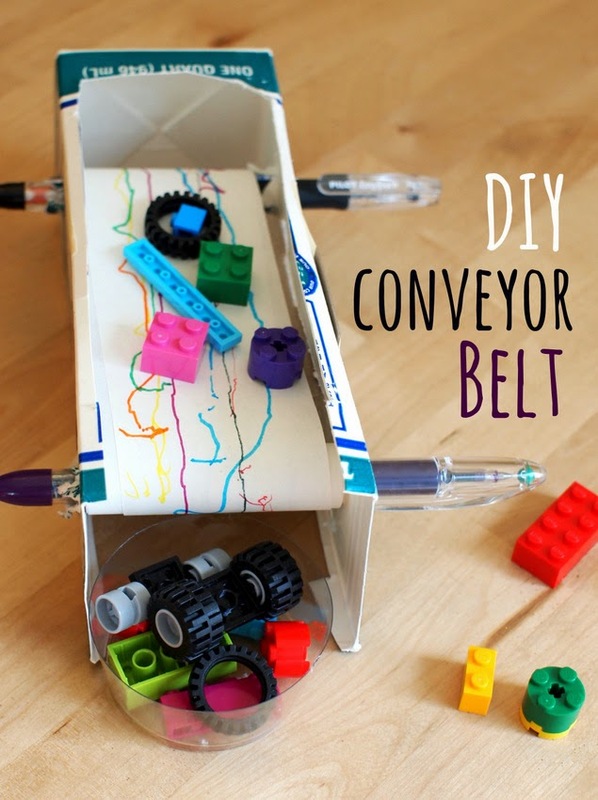 Tape the ends of string to your cardboard rectangles so that the spaceship doesn't fall off. And that's it. Simple to make, and simple to use. You don't even have to make a spaceship and a rocket. What about an alien spaceship and earth? Or a basketball player and a basket? The possibilities are endless. We went this route, and Chuck got a kick out of sending his cardboard rocket to the moon. Cardboard Rocket Ship sent to the moon from Pink Stripey Socks on Vimeo. And then, since I was working with cardboard already.... I figured I'd make Chuck some cardboard food as well. All that flying sure gives an astronaut a hearty appetite. Have a wonderful weekend! See you back on Monday. We live across the street from a playground, dog run, and basketball court. Lately, Chuck's been spending half of his time on the playground and half of his time on the basketball court. At first he just stood on the sidelines. He'd point at the players and chant, "Basketball, basketball." But now he insists on bringing his tiny basketball out and dribbling on the court...with the teenage boys. Eek! P7317002.AVI from Pink Stripey Socks on Vimeo. Have a great weekend. See you next week! Sometimes when Chuck naps (and the dishes are washed, and dinner is cooking on the stove), I get the urge to make stuff. Yesterday I pulled out a whole bunch of strange ingredients and made this blue bouncy ball. In case you didn't know, Chuck has now moved on from bubbles. Bubbles are out. Bouncy balls are in. It's so cute, he sometimes even requests to sleep with a ball (or two) at night. Hrmm.. I wonder what he dreams about. P6125854.AVI from Pink Stripey Socks on Vimeo. Chuck bounced it around for a couple minutes, until... uh-oh, he went all Hulk on it and tore the poor thing it two. P6125863 from Pink Stripey Socks on Vimeo.